On Wednesday, February 28th, the awarding ceremony of the first edition of Manuel Lorenzo Pardo’s Awards on Water Management best practices was held. On a biennial basis, the Association of Civil Engineers awards people, organizations and institutions regarding water which stand out for their best practice in the integrated water resource management model. The entities awarded this year were the Ebro river Basin Authority and Valencia’s Water Court. In the awardee proclamation speech, Association of Civil Engineers’ Vicepresident Tomás A. Sancho, highlighted the avant garde nature of both organizations in their different areas: Valencia’ Water Court as a millenial institution regarding the ruling of water rights and Ebro river Basin Authority, as the first basin organization, created by Mr. Manuel Lorenzo Pardo in 1926. Applying water quality indicators and indices is one of the major challenges in addressing poor quality of waters. 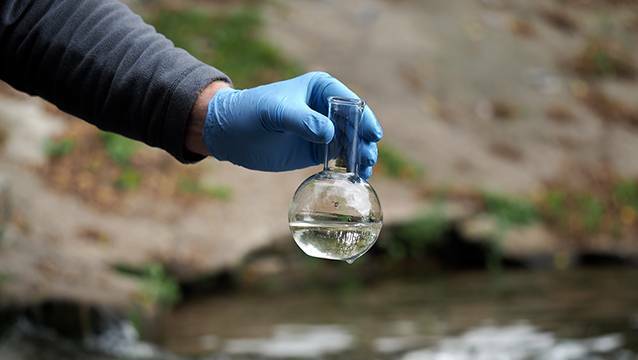 UNU-FLORES has designed a questionnaire that aims to analyse the application of water quality indicators and indices for measuring water quality in practice. It is a joint effort by scientists and practitioners in order to better understand challenges for achieving water-related sustainability goals. Results will help experts in designing relevant capacity development programs for measuring water quality in the future. The online questionnaire is available in six languages (English, French, Spanish, Arabic, Chinese, and Russian), and is accessible from this link. WCCE participated in 11th General Assembly of the Mediterranean Network of Basin Organizations (MENBO), held in Malta from 22 - 24 March 2017, through our Standing Committe on Water Chairman, Teodoro Estrela. The main themes addresed in this event regarded climate change adaptation at the basin level, the nexus between Water and Agriculture in the Mediterranean region and non-conventional water resources such as reuse and desalination. WCCE participated in the meeting under the aegis of the partnership agreement signed on June 2016 between International Network of Basin Organizations INBO and WCCE. 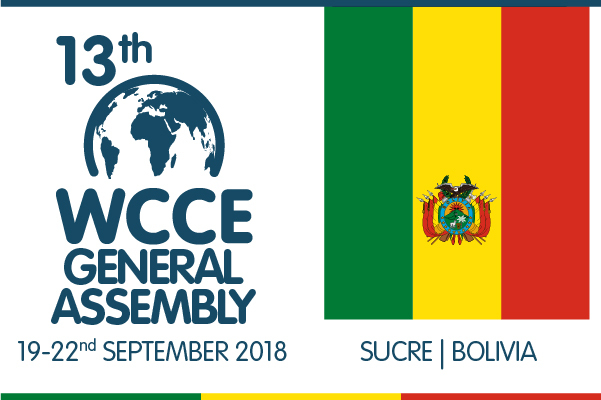 WCCE's contribution to the meeting was the presentation of IAHR-WCCE joint journals, JAWER - Journal of Applied Water Engineering and Research and RIBAGUA - Revista Iberoamericana del Agua, offering such publications to showcase MENBO members' initiatives compliant with each journal's scope. The ‘Water for Life’ UN-Water Best Practices Award is now accepting nominations for its 5th edition. The application period is open between 4 July and 15 September 2014. The theme is ‘Water and Sustainable Development’, which mirrors that of World Water Day 2015. The ‘Water for Life’ Best Practices Award aims to acknowledge and promote efforts to fulfill international commitments made on water and related issues by 2015, by recognizing outstanding best practices that can ensure sustainable long-term management of water resources and help achieve the water and sanitation targets of the Millennium Development Goals (MDG), Agenda 21 and the Johannesburg Plan of Implementation.